No, really... people do move home at Christmas! It's more common than you may think. If you are looking at a Christmas move, there is much to ponder. Preparation and planning, always key during any house move, are even more important at this time of year. 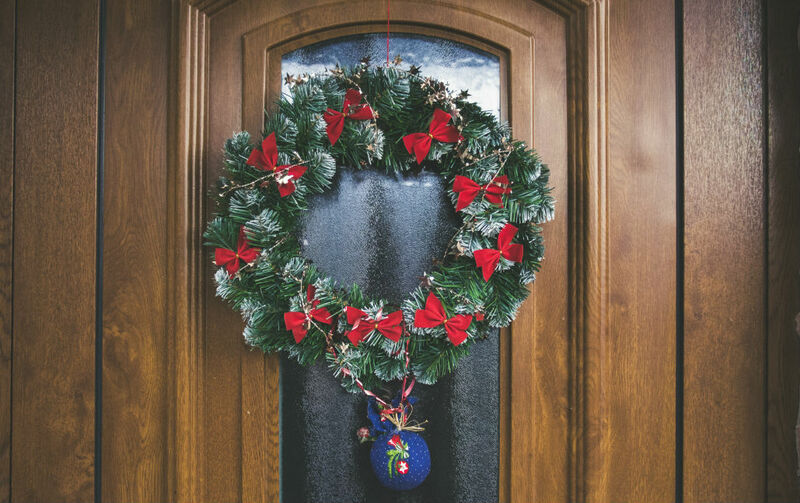 At this time of year, with the festive break on the horizon, it's even more important for buyers and sellers to have all their paperwork and documentation up together. Make sure you get everything signed and sent to where it needs to be in good time, giving you the best chance to achieve your scheduled completion date before Christmas. Communication is key in any property move, but even more so at Christmas with estate agents and conveyancers working at speed to ensure all their clients' needs are met before the festive break. Either your solicitor or agent, or both, will almost certainly need to contact you during December so make sure your phone is on and emails are up and running. The earlier you can do this, the better. Even though moving at Christmas is more common than most people think, compared with other times of year removals companies are less busy during December. That means the earlier you book, the better deal you are likely to get. Get in touch with two or three companies early to gauge their availability and grab yourself a bargain - and remember, many companies close down over Christmas until after the New Year, so get in touch with firms you need NOW! Your deposit money should be in place well in advance of your proposed completion day. Bear in mind transfer times for money between buyer, seller and mortgage company and get your funds in place as early as you can. This is a mistake. Problems can, and often do, occur on completion day. Whether that is with funding, bank transfers or perhaps a problem with the plumbing in your new property, consider that the people you need to rectify these issues will almost certainly be going home early on the final working day before Christmas! With tradespeople and the banks not working again until after the New Year, it could be over a week before you can realistically sort out any issues. Avoid a completion day close to Christmas Day where possible. Always try to complete several days before the UK closes down! Remember that most lenders need at least five days (often a week) between exchange of contracts and completion. In order to avoid a 'close call' completion date as mentioned above, do what you can to push your sale and purchase to exchange as early as possible. As we write this guide, the sun is shining and the wind is a mere pleasant breeze. Twenty-four hours earlier, Storm Diana was rampaging across the country with high winds and heavy rain. All of which goes to prove you simply cannot trust the British weather. While a white Christmas seems unlikely, winter storms should be planned for. Keep an eye on the weather in the lead up to your completion day. If bad weather looks likely, it might be worth considering a delay to your move, as much as that would cause major upheaval over Christmas. But consider this: If a removal company was unable to complete your move due to bad weather, that would be far worse. Utility bills are one of the most common things to slip from memory during a move. So, add in the pressure of a festive move and it's even more likely you'll forget to phone the electrical supplier. Four of the most important things for a comfortable Christmas are heating, hot water, gas and electricity. After a stressful move, the last thing you'll want is no gas when prepping the Christmas dinner in your new home. Even during a festive house move, you'll want to celebrate Christmas in style. Even more so after the stress of moving! Ensure your Christmas decorations are packed away clearly in boxes you can get to with ease among the chaos of a move. You'll want to get everything up and looking great as a priority - you'll all need some merriment after the strain of moving. This might not seem like much of a priority among everything else we've mentioned above, but you wouldn't want all those lovely Christmas cards going to your old house, would you? Make sure you tell everyone in good time that you're moving and give them your new details. Most movers flake out for at least 48 hours after moving home. But at Christmas there's no rest for the wicked. The pressure of a house move at this time of year is immense, so it's important you don't forget what Christmas is all about during the craziness. Even if you are surrounded by boxes and a new home in dire need of decoration, push all that to one side and take time to celebrate with family and friends. If you are moving house this Christmas our offices are always here to help. Get in contact now.